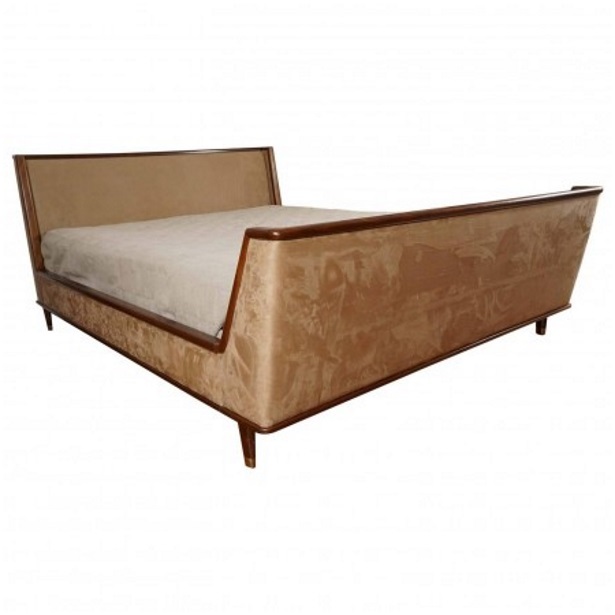 Wood and upholstered bed, inspired by a 1940's market find in France. Curved headboard and footboard with side rails. Height: headboard: 41.5" - footboard: 26"